When artist Chris Worswick decided to open up her new Wooden Horse Studio as part of events to celebrate Rossendale Artists Open Studios, she employed CSM to cover the story and take a photograph. 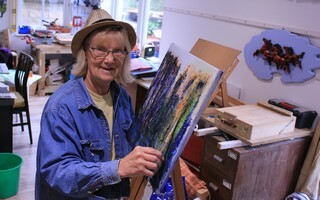 Chris suffers with tinnitus and now runs specialist art classes to cater for people who need longer to learn their craft. The story made page leads in both the Lancashire Telegraph and Rossendale Free Press. When transport company North West Logistics relocated to a larger premises, they employed CSM to get the message out there. The new base was literally across the road but because there was no signage, a vehicle was used to not only promote the company name, but in the background the address of the new premises is clearly visible. 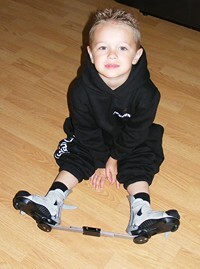 The story was used by the Lancashire Telegraph and Business Daily. 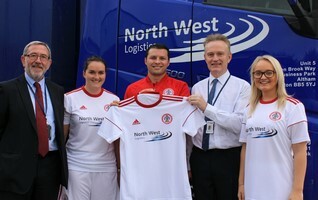 It helped that the company had also decided to sponsor Accrington Stanley Ladies team. 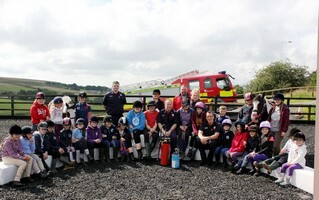 Young Pony Club members learnt all about fire safety with a visit to Weir Riding Centre by Bacup Firefighters. The crew were only too happy to meet the young horseriders and help them on their way to achieving a badge. CSM was asked to cover the event by writing a story about the club and the centre and also taking several pictures to capture the event. The story made the Rossendale Free Press. New government entitlements for working parents meant Bacup Nursery School needed to change its opening hours. To celebrate the school held a Two-day and employed CSM to cover the story with words and pictures. 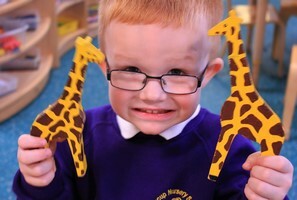 Three photos were used by the Rossendale Free Press to illustrate the story. The school is often perceived by parents just to be open ‘school hours’ but also offers breakfast and after-school clubs to help working parents. When Jayden Leigh was born his deformed limbs required immediate surgery, two months of plaster casts and years of wearing special boots, splints and a frame. 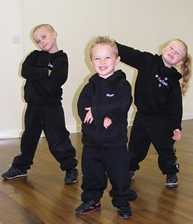 Now he has passed a street dance exam with Dansworks Dance Academy in Bacup and his success was catalogued in an PR article and photographs written by Catherine Smyth Media for the dance studio. It was used on Page 3 of the Lancashire Telegraph and Rossendale Free Press and also featured on About My Area community news website. The story was also featured on a double page spread in the International Dance Teachers’ Association magazine.